Food allergies are tough to deal with all year. However, the holidays are even more difficult (gingerbread anyone?). 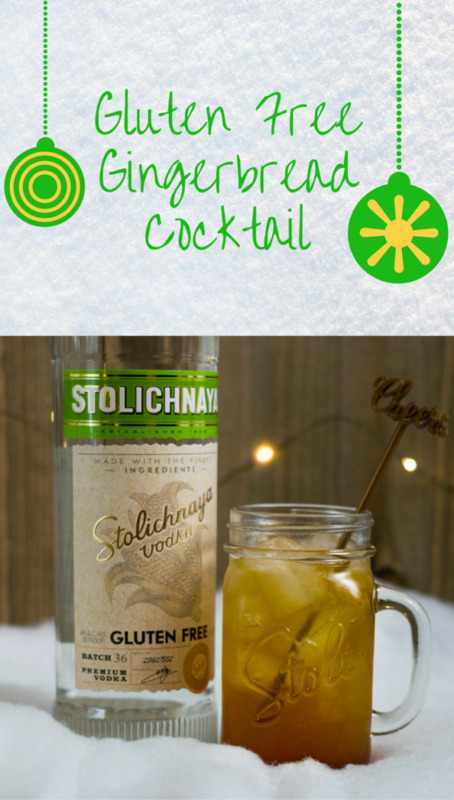 It is not uncommon to hear the question, “what spirit can I still enjoy in a cocktail with holiday flair?” Vodka has always been a safe bet as there are different ingredients that can be used to make it. Among the brands reaching out to gluten-free consumers is Stoli Vodka. 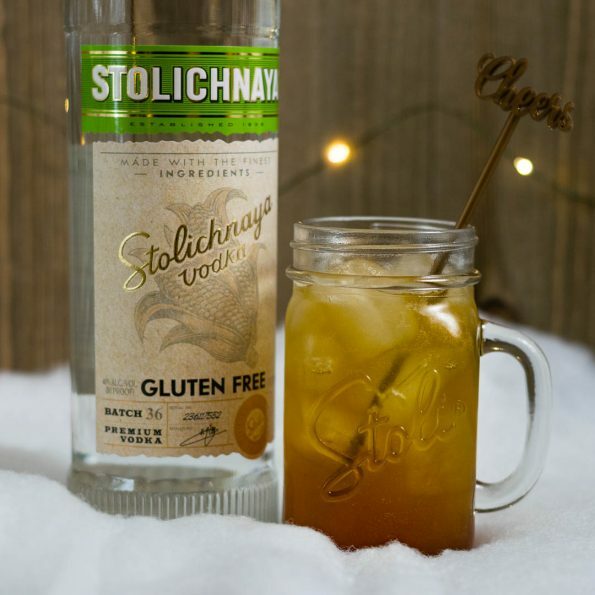 In May 2016, Stolichnaya launched Stoli Gluten Free which marked the first time a global vodka brand created a completely new, gluten-free recipe and product to meet the needs of gluten-free consumers. Stoli Gluten Free is made with naturally gluten free ingredients, 88 percent corn and 12 percent buckwheat, a unique blend proprietary to Stoli that gives Stoli Gluten Free a bold taste with a smooth finish that’s great for cocktails. We were approached to by Stoli to try out their new gluten-free vodka a few months ago. They also wanted to see what fun and unique holiday cocktails we could come up with that not only featured their newest vodka, but were also completely gluten free. We wanted to create a cocktail that not only tasted great but created that feeling of the holiday season. Peppermint is so frequently used, we decided gingerbread would be a fun challenge since it is not typically gluten free. We hope you enjoy our new fall favorite! What fall flavors are you playing with? Let us know if the comments below or by using the hash tag #GeekEats! *The Geeks were compensated facilitate this write-up; We were also provided information about Stoli Gluten Free. All opinions are wholly our own. View our Disclosure Policy for more info.